Find Out What Our Clients Are Saying About Us. 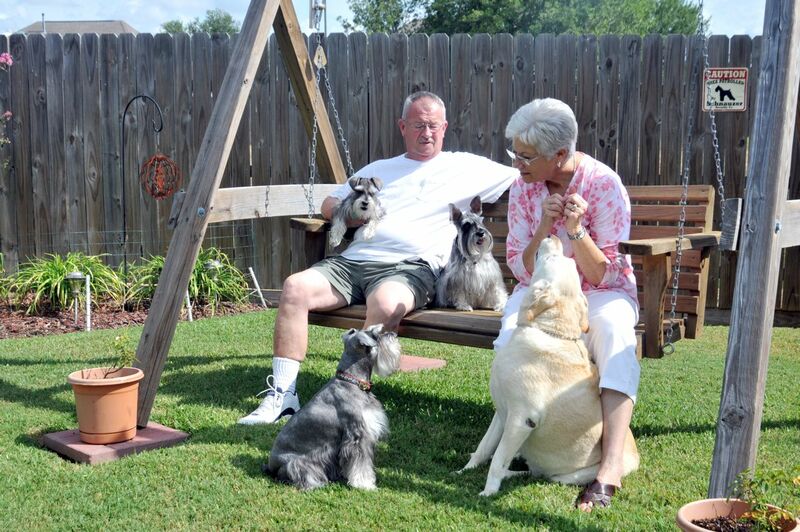 . .
For Wayne and Anita Cromis, Pecan Acres Pet Care offers the whole package. “It’s not only Dr. Suazo but the whole team. From the vets to the girls in the office, they all are really good at what they do and they really care,” Anita said. 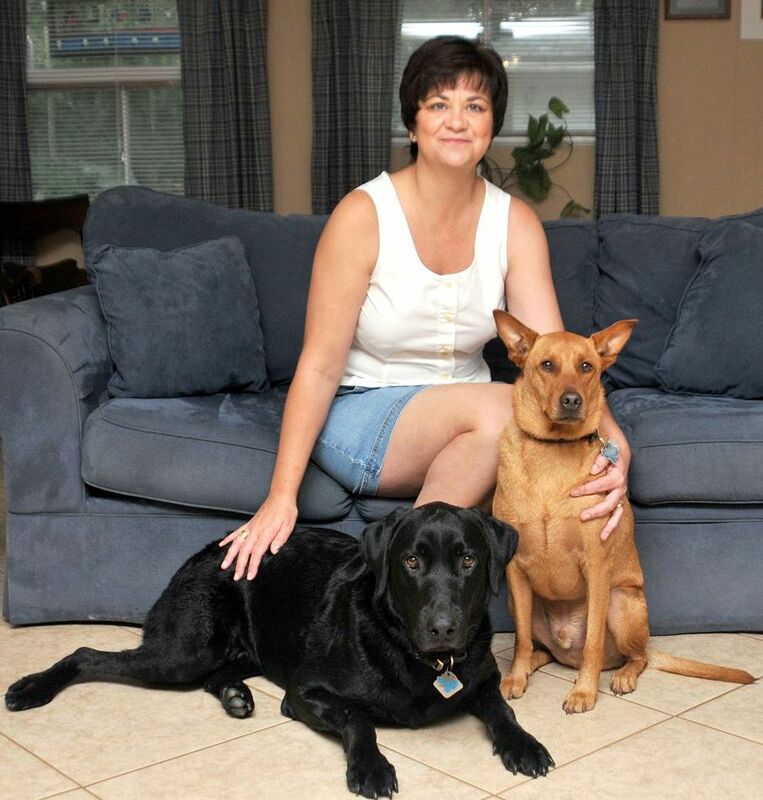 The Cromises’ have been with Dr. Suazo for more than 10 years – since his days at Lake Jackson Vet Clinic. “Dr. J. helped us work through a lot of that,” Wayne added. “We were at the office and everyone teared up,” Anita said. “They are so sensitive about our animals. They care as much about our pets as we do — they treat them as their own. “With Dr. Suazo and Pecan Acres, we feel more like family and friends than customers and clients,” she said. 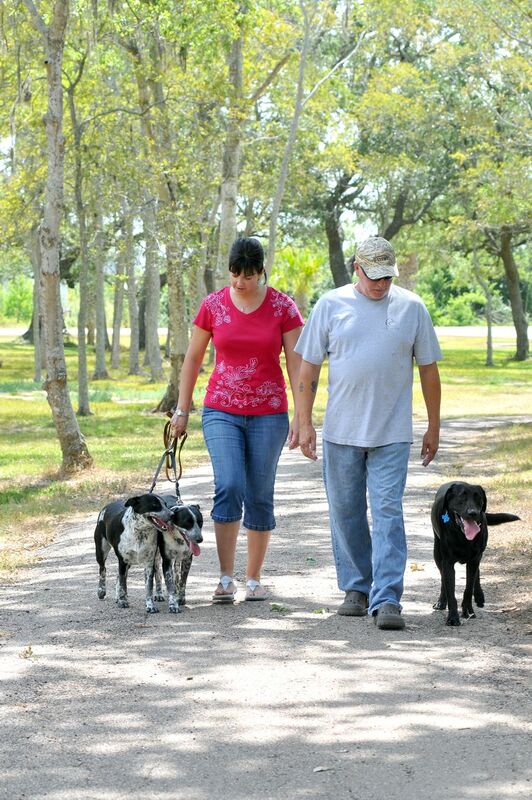 In addition to medical care, Wayne and Anita use Pecan Acres’ kenneling service. “We can go away and never worry about them because we know they are in the best hands,” Anita said. Having the right veterinarian was essential when Janet and Allan Hickner rescued Graham from a terrible situation three years ago. “Graham was high anxiety, terrified of everything … the slightest sudden noise, leaves blowing across the yard. Dr. Suazo and the entire staff at Pecan Acres reduced his anxiety as well as mine,” Janet said. Two years ago, the Hickners brought home Coal, a very tall, very playful black lab. “He’s my perpetual 4-year-old,” she laughed. Coal is another rescue dog. He was left at Pecan Acres Pet Care with a broken leg. Ads were placed in the papers and no one came to claim him, so the Hickners did. The Hickners have been with Dr. Suazo since 2003 when their 20-year-old cat fell ill. “More than once I took her in and Dr. Suazo would fix her,” she said. As the health of their family pet quickly deteriorated, it became very evident what had to be done. Although it’s difficult to lose a family pet, it’s harder to see them suffer. When it comes to family pets, quality of life rather than longevity is most important. Mary Ruth Rodenbaugh’s 17-year-old cat became very ill and deteriorated to near “skin and bones. It pained me to see her like that, so I took her over to Pecan Acres,” she said. Mary Ruth met with Dr. Suazo and discussed treatment options, but it was clear what had to be done. 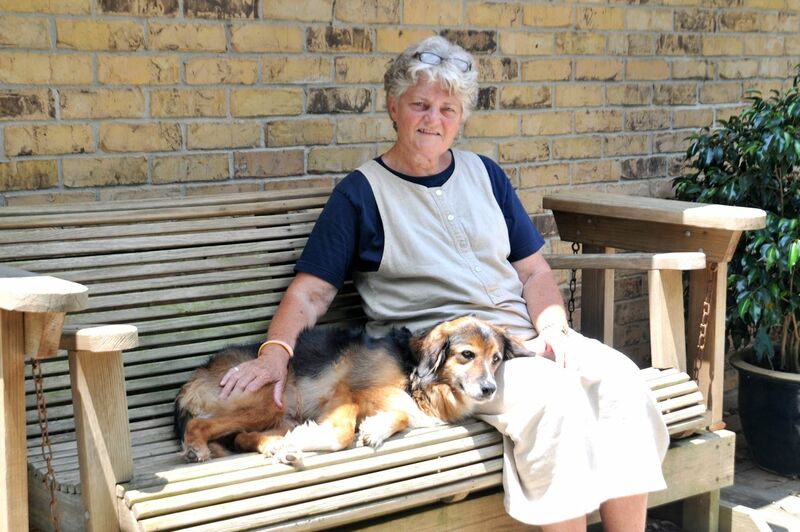 Mary Ruth has known Jason since his high school days, and has entrusted him with the care of all of her pets since he returned from college. Back in the day, it was an unwritten rule that you don’t take any animal smaller than a cow to the vet. “That’s just the way it was,” Mary Ruth said. But as time went on, and the bonds forged with smaller, more domesticated animals grew, the rules changed. John and Linda Langley have been clients of Dr. Jason Suazo’s for almost 10 years. The initial attraction was the mobile veterinary service he offers. As the Langley family grew to include more dogs, Dr. Suazo became a bigger part of their life … in good times and in bad. “He helped us through our loss. He was just so … I’m going to cry,” she said. The Langleys look forward to opening of the new clinic in Lake Jackson. “Of course, we would go to Houston for Dr. Suazo,” Linda said.